Lightweight with a low drag coefficient that allows fantastic freedom of movement. Abrasion resistant Kevlar hose with vertical connector. Expandable buckle contracts and expands as required by depth and exertion. Includes patented BIO Quick Adjust tank band assembly. Secure your cylinder in seconds with almost no effort. Conventional tank strap designs require strength to secure. When the tank strap band gets wet the belt expands and the holding force diminishes. The Bio Tank Lock has 10 times more (100KG) more tightening torque than conventional tank strap systems. The Bio Tank Lock tightening screw makes installation and removal a breeze. 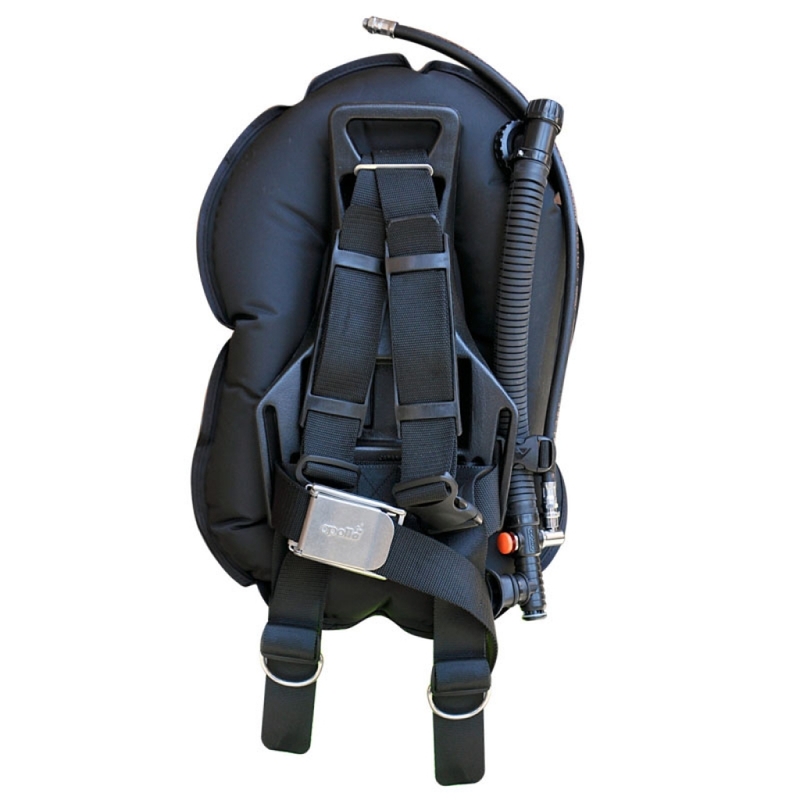 The heavy duty spring automatically adjusts as the webbing loosens and contracts keeping your tank in place.